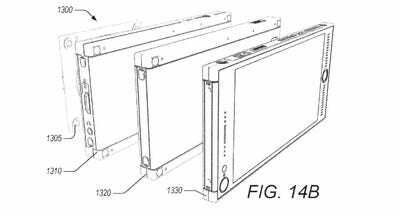 RED/US Patent OfficeThe Hydrogen One will supposedly be able to attach a number of ‘modules’ to its back, and build a lego-like device. 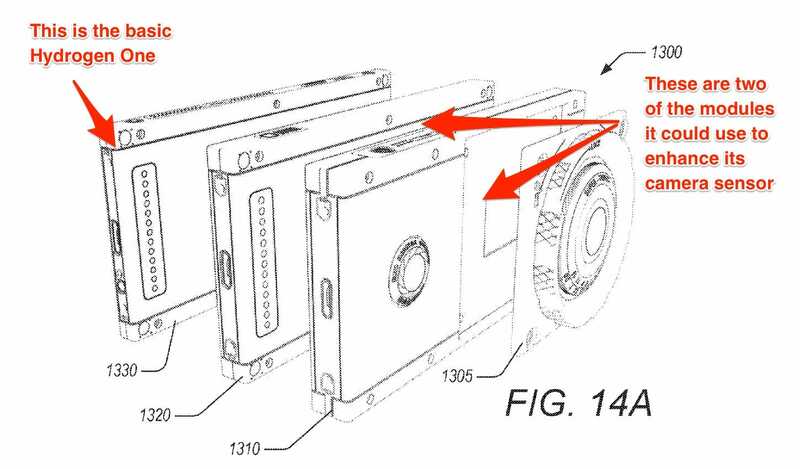 The professional camera company RED, which announced plans to launch a $US1,200 (£930) smartphone some time in 2018, filed some interesting patents to the US Patent Office that show how the company wants to attach external components (so-called “modules”) to the devices. 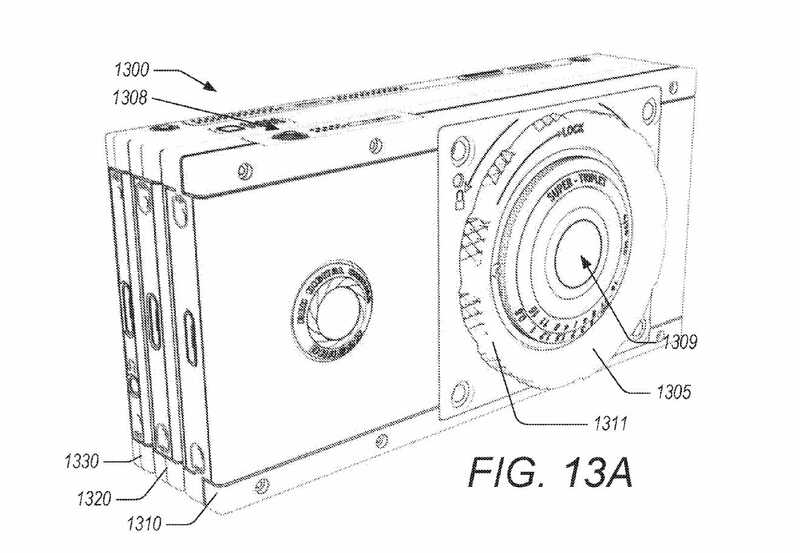 The patents show that the Hydrogen One phone could become the core of a much larger system, that spans from simple attachments to fully fledged professional camera rigs. RED hasn’t fully unveiled the device yet, but the one official image we have shows what seem to be connective pins on its back, not too different from something like Motorola’s Moto Z phones. 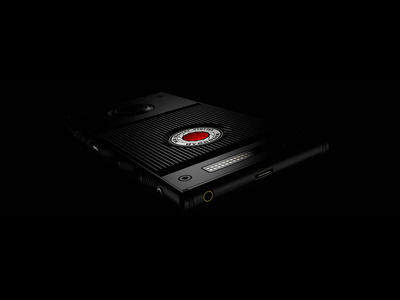 REDRED’s Hydrogen One phones looks like it will lean heavily on modularity. 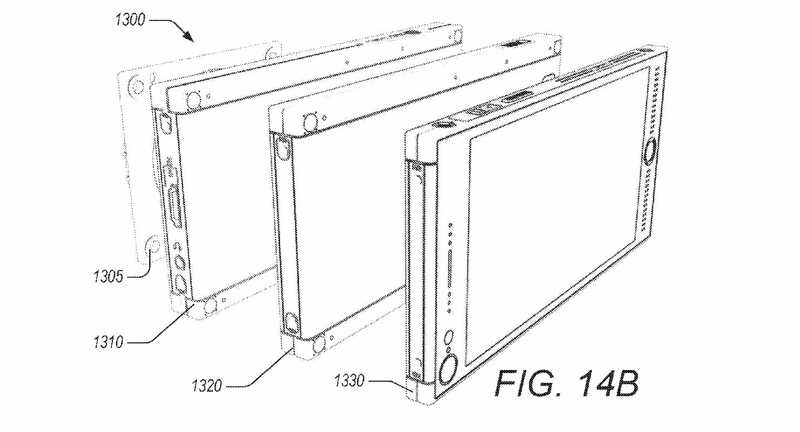 The big difference is that, according to the patents, the modules look almost identical in shape and size to the Hydrogen One itself, and so they stack on top of one another to form a bigger, thicker device. 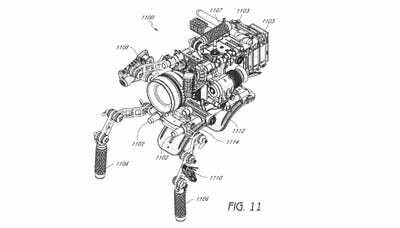 RED/US Patent OfficeThe system sees the Hydrogen One stack its modules on top of one another. RED’s idea is to attach the modules to make for a better camera experience. 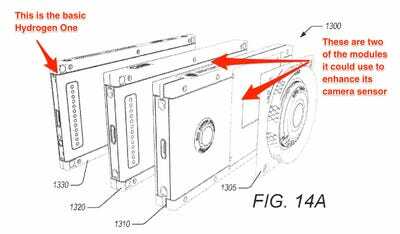 The added component would use bigger sensors such as CMOS’ or FOVEON’s, from half an inch to even full frame, and more or less turn the phone into something between a point-and-shoot and a DSLR. 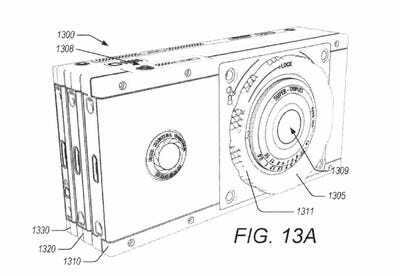 RED/US Patent OfficeThe Hydrogen One could turn into something that resembles a point-and-shoot camera, with much better sensors and optics, other than extra battery or storage. Other non-camera-focused modules could include batteries to expand the handset’s stamina, or extra RAM or storage, according to RED’s patents. But RED wants to go even further: Some of the patents show that the modular Hydrogen One could be used as the main component of a bigger camera rig, one that looks not too dissimilar from the dedicated ones RED already builds. RED/US Patent OfficeRED’s patents show that the company ultimately wants to turn the phone into the core component of a much bigger system.